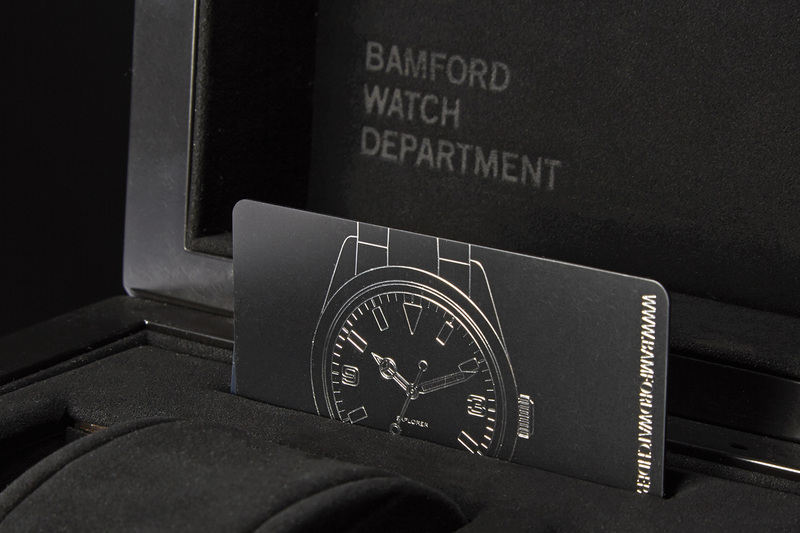 Continuing our on-going relationship with Bamford Watch Department – a brand created by George Bamford to pay homage to vintage watches and classic designs of the past – Progress have produced these limited edition wooden boxes on a micro run of just 10 units. The small quantity and short lead time on this project dictated that they were prototyped, developed and produced at our UK factory. 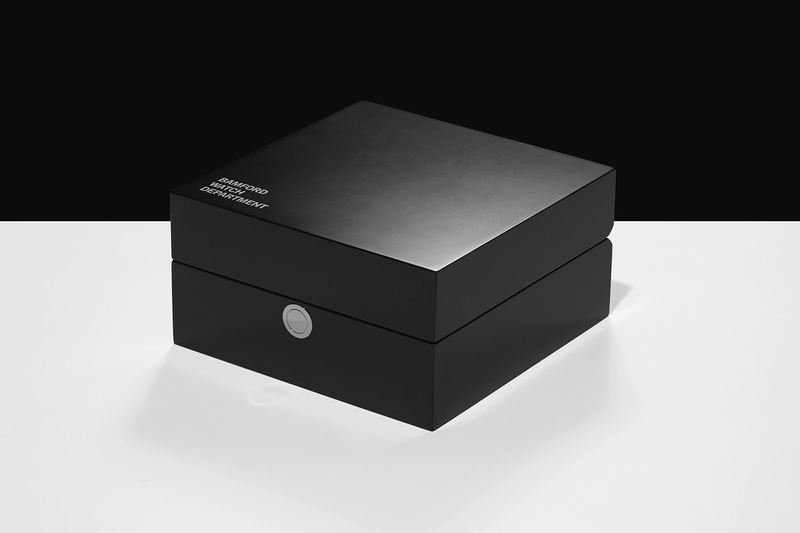 The outer box is manufactured from MDF with a painted matt black finish. The logo on the lid is screen printed with the hinges and locking mechanism made from a contrasting nickel finish metal. A custom insert using a MDF frame, covered in a suede-effect paper and branded with contrasting matt black foil, fits neatly inside. 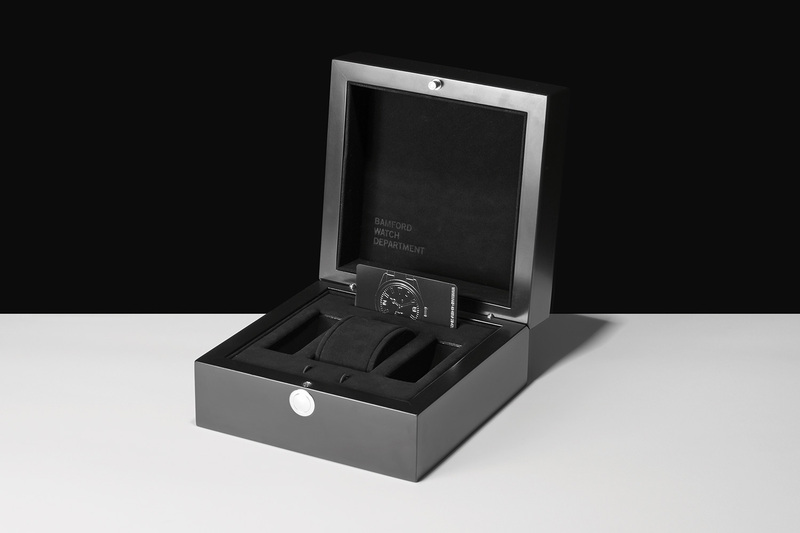 The watch roll mounts over foam in matching materials and the slots for the care guides and warranty cards are recess-routed. On a project so focussed on luxury, prestige and attention to detail, great care was taken to provide the best quality and finishing throughout this challenging project – to suitably reflect the value of these exclusive timepieces.